Meru National Park is wild and beautiful! Straddling the equator and bisected by 13 rivers and numerous mountain-fed streams, it is an especially scenic area of Kenya. It has diverse scenery from woodlands at 3,000ft. on the slopes of Nyambeni Mountain Range, northeast of Mount Kenya, to wide open plains with wandering riverbanks dotted with doum palms. It is home to lion, elephant, cheetah, leopard and some rare antelopes; lesser kudu, duiker and dik dik, one of Africa's smallest antelopes. Large prides of lion can be seen and some of Kenya's largest herds of buffalo. Rivers abound with hippos and crocodiles. 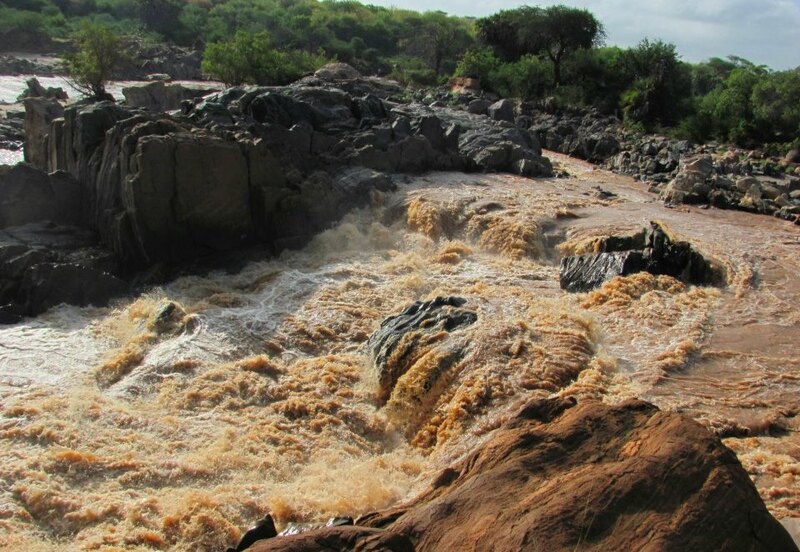 Fishing for barbus and catfish is permitted at campsites and along the Tana River. In the mid 1980s, the park suffered from poaching. However KWS armed wildlife security patrols have driven out poachers and the elephant population has stabilized with breeding herds settling down. More than 300 species of birds have been recorded. They include Peter's finfoot, which inhabits the Murera and Ura rivers, the Pel's fishing owl, kingfishers, rollers, bee-eaters, starlings and numerous weavers. The park is most famous as the setting for Joy Adamson's book "Born Free" - the story of the Adamson’s' life and research amongst lions and cheetahs. "Elsa" the Lioness, was the most well known and her grave is marked here.